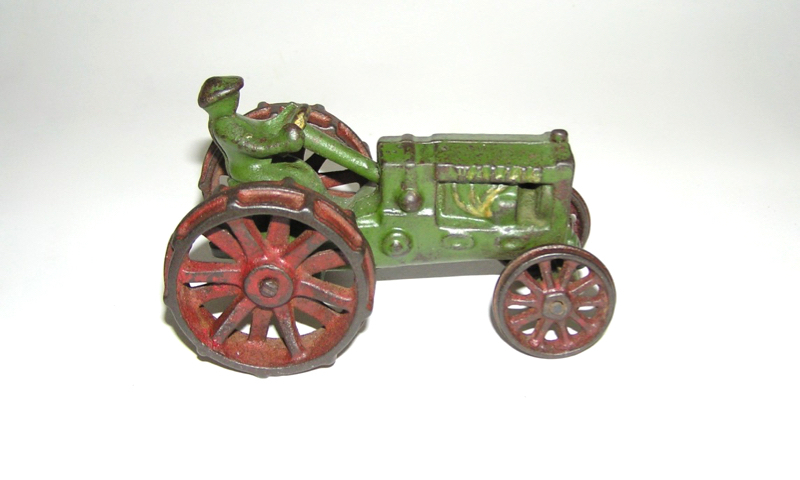 Here is a wonderful looking tractor from Freidag. 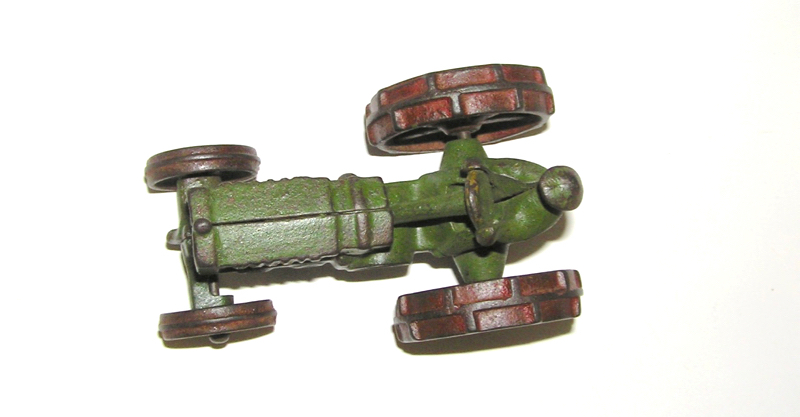 The "Wallis" Tractor. 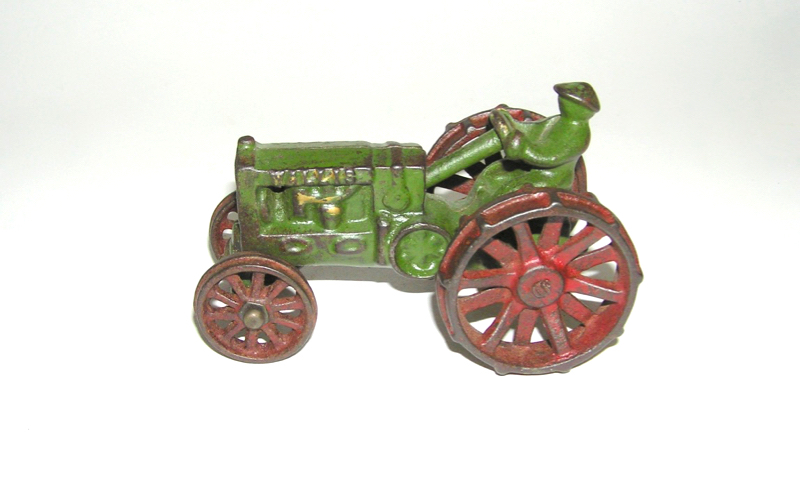 A very rare example, cast iron, painted in green overall, red spoke wheels, a cast driver w/ gold trimmed steering wheel, embossed "Wallis" on hood of tractor. Measures 4-7/8" long. Condition is excellent - as seen in the pictures. No breaks or cracks. All original. Don't miss this for your collections. Thanks.